Hats off to Uncle Earl’s “Waterloo, Tennessee” tour! I was lucky enough to catch the band during their spring tour in support of their new album,”Waterloo, Tennessee,” released on Rounder Records last month. Produced by John Paul Jones (of Led Zeppelin fame), this second album does a great job capturing the exuberance and energy that characterize the g’Earls’ live performances. 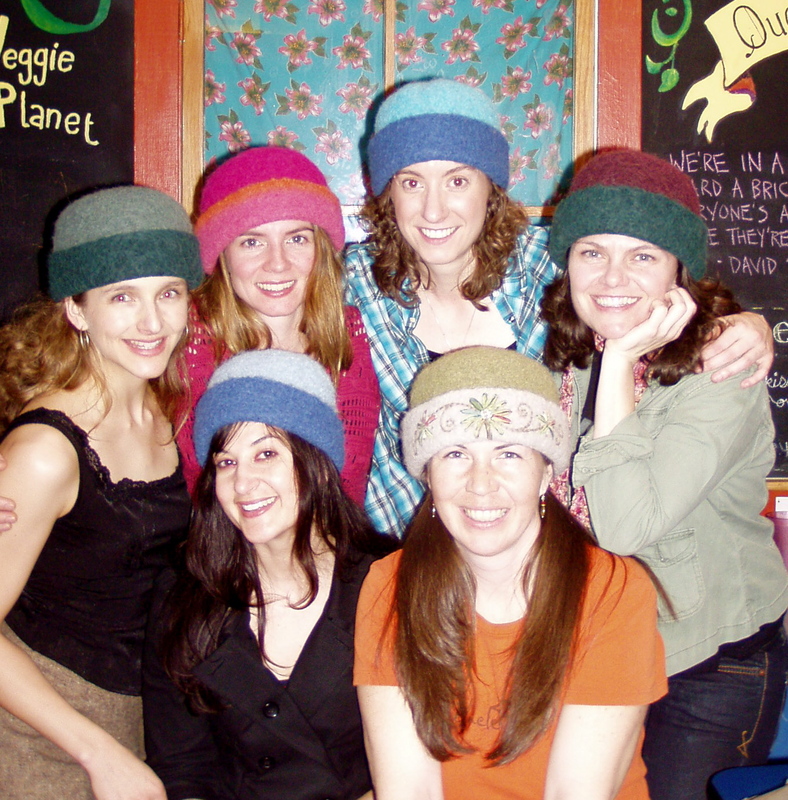 I love handmade things: hats, pies, furniture and especially stringband music. If you have the chance to catch Uncle Earl live at a festival this summer, do it! Until then, check out “Waterloo, Tennessee”. You’ll be happy you did. This entry was posted in Embroidery, Fan Club, Fine Craft, Life, Music, Travel and tagged Abigail Washburn, all-women band, Art-to-wear, cd, Club Passim, Fan Club, Fine Craft, KC Groves, Knitting, Kristin Andreassen, Mary Lucey, old time music, Rayna Gellert, release party, Tennessee, Uncle Earl, Waterloo by Carrie Cahill Mulligan. Bookmark the permalink.